Friday night Joey Eye and David Feldman bring another round of boxing to Harrah’s Philadelphia Casino where they have established themselves promoting several cards a year for the last three years. Since first bringing fights to the new Casino located in Chester the pair has been successful at regularly making competitive and entertaining bouts for fans. 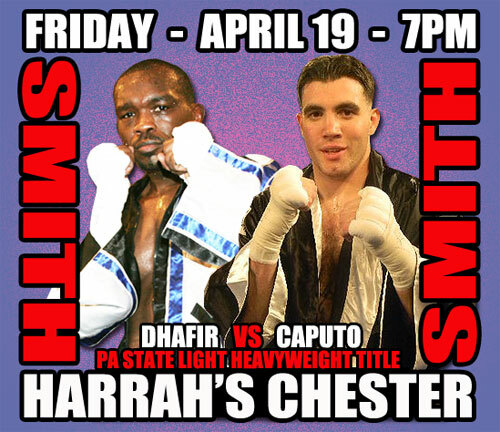 Friday night should be more of the same with an intriguing main event between Philly’s Dhafir Smith (26-23-7, 4 KO) and Kennet Square’s Anthony Caputo Smith (13-1, 10 KO) that is complimented by local fan favorite tough guy Victor Vasquez on the undercard. The main event features as many contrasts as one can conceive when matchmaking a fight. Other than the same last name these two have little in common. Smith is from the big city while Caputo Smith is from small town Kennet Square in Chester County. Smith is a veteran of more than fifty fights and sparring partner to the stars while Caputo Smith is yet to reach fifteen fights. Finally Smith is a classic thinking man’s boxer and ring technician with a great jab while Caputo is a straight ahead pressure fighter that makes up for any lack of technique with game changing power in both hands and stamina to come hard all night. The ten round light heavyweight bout for Smith’s PA State light heavyweight title will come down to which fighter is able to assert their fight on the other. If Dhafir is able to get off with the jab, control the ring with movement, and keep Caputo Smith on the outside he will walk away with his hand raised. However, if Caputo Smith is able to get past the jab with head movement and aggression to get inside he could make it a long rough night for the veteran. Adding to the excitement should be a raucous partisan crowd environment as both fighters bring a following. Dhafir will have the loyal Shuler Gym faithful on hand that make noise with the best along with a solid contingent from his native West Philly. Caputo Smith brings a crowd of his own from Kennet and West Chester that loves the their fighter who provides action packed excitement. The matchmakers for Harrah’s fights have used this formula of pitting two local fighters that each bring a crowd several times in past main events with huge success. Bouts such as Dhafir Smith vs. Tony Ferrante or Omar Sheika vs. Ferrante provided an electric environment with opposing fans and this one should be more of the same. Highlighting the undercard is Philly’s brawling barber Victor Vasquez (16-7-1, 7 KO). Vasquez was scheduled to fight Chazz McDowell but currently has the dreaded TBA listed as his opponent. Hopefully Joey Eye will pull some magic to find an opponent as watching the always exciting Vasquez who regularly fills the seats at Harrah’s take on a heavy bag or trash can is exciting. Decarlo Perez (9-2-1, 3 KO) takes on Julius Kennedy (7-4-1, 3 KO) in an eight round junior middleweight bout. The Atlantic City product Perez has shown flashes of talent and has won three in a row since being knocked out by Rafael Montalvo in two rounds a little over a year ago. Since that loss Perez has decent wins over tough Lenwood Dozier and boxer Shamone Alvarez. Perez will have to work for the win Friday as Kennedy showed in his last bout he should be taken seriously despite his record. 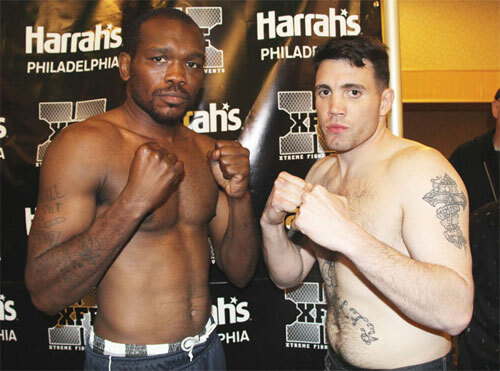 Kennedy, coming to PA again from Windsor Mill, MD, gave Harry Joe Yorgey everything he could handle and more when the two fought barely a month ago at Valley Forge Casino. Yorgey walked away the winner on a split decision but many observers ringside and in the crowd smelled a strong scent of home cooking for Yorgey. Regardless of the decision Kennedy showed he is all strength and heart spending a good part of the fight pushing the tough Yorgey into the corner and doing damage. Always exciting Julio Dejesus (7-3-3, 4 KO) who fights like a boulder rolling downhill not to be stopped takes on Ariel Duran (7-3-1, 4 KO) a six round junior welterweight bout. Popular Temple product Alex Barbosa (4-1-1, 1 KO) looks to get back in the win column against Jose Del Valle (0-1-2). Barbosa started 4-0 but since has a loss and draw in his last two bouts. Also featured will be rugged female Althea Saunders (3-0-1) and undefeated welterweight from Minnesota Javontae Starks (6-0, 5 KO). Celebrated amateur Damon Allen makes his pro debut against Joseph Ahaamid (0-0) in a four round lightweight bout. Allen had a stellar amateur career with over one hundred and sixty fights including a bronze medal at the 2013 United States Championships. Allen has been on boxing’s radar for a while as he is expected to make some noise in the pro ranks. 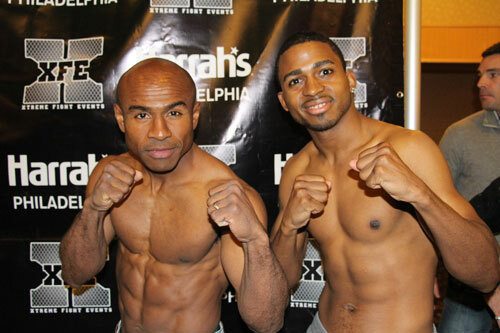 The card is scheduled to begin at 7pm from Harrah’s Philadelphia with ten bouts scheduled to go. Tickets are available at the door prior to the fights. Go Fight Live internet will have a delayed broadcast of the fights. Philly Boxing History will be ringside for complete post-fight coverage.